Louisiana! Swamps and ‘gators. Crawfish and po-boys. Cajun, Zydeco and New Orleans, the First City of Jazz. Carolan has seen them all this week in its first trip abroad (unless you count Wales that is). Ostensibly, the trip has been to present the first Carolan research paper at the Fifteenth Annual Conference on New Interfaces for Musical Expression, or ‘NIMES’ as these new digital instruments are called, but of course this has necessitated something of a road trip. We’ll be writing about the conference and some of the quirky NIMEs that we’ve met and even jammed with soon, but for now we’ll just get our bearings. 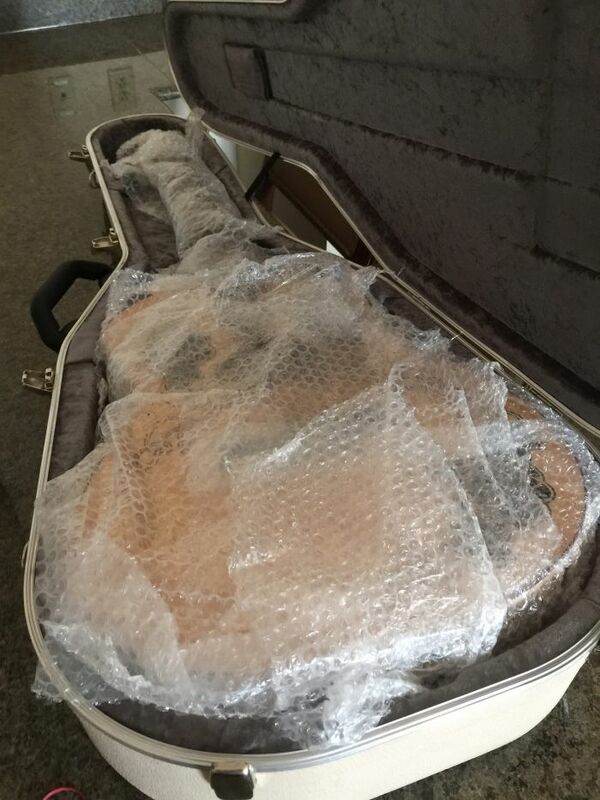 The trip begins 5 AM on a Saturday morning – no time for a respectable guitar to be up and about – with Carolan being wrapped in layers of bubblewrap before being snugly fitted into its Hiscox flightcase.